ASBM Pune is one of the latest constituents of the Alard Group of Institutions, which was established in 2007. 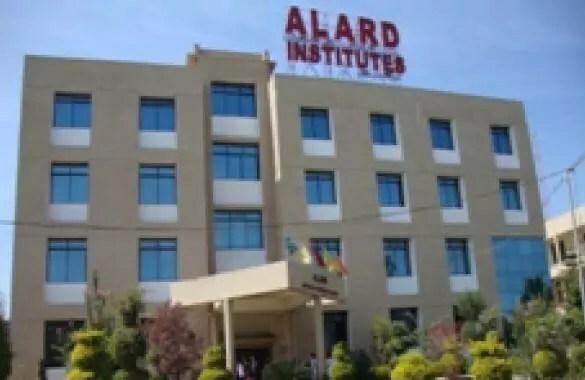 In keeping with the norms, standards and expectations of the AICTE, Alard MBA aims to achieve academic excellence in management education and training and build sound professionals to serve with Public / Private / Corporate sector. Since Having the autonomy to conduct the PGDM program in the desired manner subject to, of course, prior approval by AICTE for any major changes .The Institute follow this diagnostic approach and make our constant endeavor to provide need based MBA/PGDM education to students. Updated course curriculum, competent faculty, innovative teaching methodologies, intense institution-industry interface, research oriented studies and assignments, state-of-the-art infrastructure and, above all, the value additions for over-all development of students; are the differential hallmarks of our institute. The Alard MBA program is conducted as per the course curriculum of Savitribai Phule Pune University (Earlier known as Pune University). It is our endeavour to train and prepare our student in such a way that by the time they are on the verge of finishing their studies, they become employable and Industry ready. Rs 3,20,000/- for 2 years. Alard Pune Fees Structure and Scholarships Yes, Available. GD/PI Cities New Delhi, Bhubaneswar, Kolkata, Jaipur, Guwahati, Ranchi, Jamshedpur, Patna, Kanpur, Allahabad, Lucknow, Chandigarh.